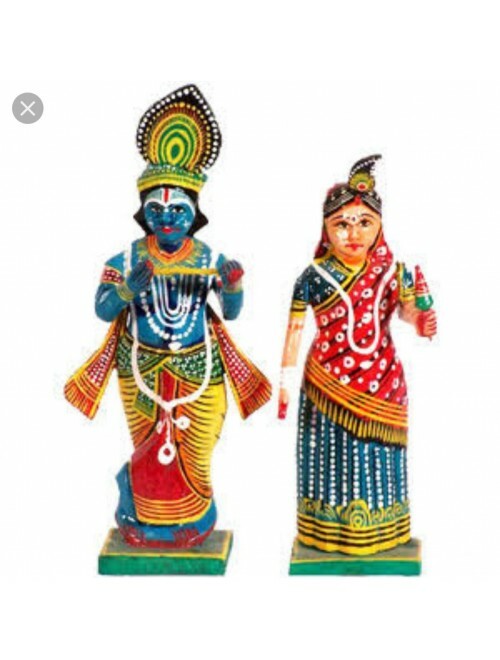 · Wooden decorative Krishna & Radha. Om Handicraft presents Radha & Krishna, which can be used as a showpiece to décor your home & Office. This product makes your home look beautiful and attractive as it is made of wood. Care should be taken to keep the product away from heat and water as it can damage the product.